 Holy Trinity has initiated a new ministry, the Men’s Ministry program, a spiritual community of men of Holy Trinity. Men have gender related needs and responsibilities that are best developed and nurtured in context with other men. Our Men’s Ministry program will provide Christ-centered, spiritual environments and prgrams unique to men, which will encourage them to help one another to more strongly realize their Orthodox Christian responsibilities as husbands, fathers, and friends. There will be retreats, small group settings, service opportunities, and sporting activities that will promote open, trustful, and supporting environments for men to bond and address their unique issues in today’s society. Men, whether married or single, will find this Ministry a great opportunity to bond with other men and to realize your full potential as Orthodox Christians. The MM is guided and supported by Fr. Vasileios and Dr Takie Hondros. For upcoming gatherings please see our Church Calendar. The purpose and goal of this group is to educate, inform and bring together mothers of young children. We discuss the ways the Orthodox Church teaches and helps in the areas of raising their children. Also, many different topics are discussed from the Church Liturgical Calendar, lives of the Saints and other topics pertaining to providing information for Christian parenting. February meeting: Tuesday, February 13 at 6:00PM until 7:00PM. 1) 10 ways to build self-esteem as a woman. 2) St Valentine; is he truly a Saint? This group was designed for young married couples. Monthly gatherings are held to fellowship, learn about Christian married life, and how to integrate Christian principles to become even closer with the Lord and with each other. The goal of this group is to make the bond of love between the spouses strong and to enhanced the commitment to each other and to the Lord. The clear purpose of the gatherings is to underline and understand the responsibility we have to help our spouse enjoy the journey of married life which ends in the Kingdom of the Lord. Some topics include: Communication, prayer, dealing with conflict, liturgical and scripture awareness along with lives of holy married couples of our Church. HTFG meets monthly, for the latest event, please visit our events calendar. The purpose of the GOSA association is to provide a haven for seniors to meet, socialize and participate in planned activities established for Church parishioners age 55 and over. Please Note: GOSA in Greek reads as follows: “Ellinikos Orthodoxos Sindesmos Presviteron” Ελληνικός Ορθόδοξος Σύνδεσμος Πρεσβυτέρων. The association has been active for nine years and meets each Thursday morning from 10am-12pm at the Church Social Center. The Forever Young group is for people in our community, 55 years old and above. The turnout is very good every month, with fun, good food, and fellowship. This is a wonderful organization for our Seniors in their golden years to come together once a month to have a meal, hear a speaker and fellowship with each other. Many times, this is the only opportunity for the seniors to see one another. Usually a guest speaker has been invited to make a short presentation on a topic related to our seniors. Please contact Ms. Maria Katopodis at office@htgo.org for more information. The group meets on the last Thursday of each month from 5:00pm-7:30pm in our Holy Trinity Social Room.